I wear reading glasses these days, especially when the light is low or I’m particularly tired. Without them the words tend to blur on the page, but when I pull them out (sometimes letting go of the embarrassment of needing them in my 30s) everything comes into focus and whatever I’m trying to read comes to life instead of being a chore. Discernment is a way of seeing. Ruth Haley Barton describes discernment this way in chapter seven of Sacred Rhythms: “It is a journey from spiritual blindness (not seeing God anywhere or seeing him only where we expect to see him) to spiritual sight (finding God everywhere, especially where we least expect it).” Discernment must become a habit, something that we practice throughout our everyday, ordinary life so that when God nudges us, we are ready. We already know how to hear from Him. There are decisions in our lives that feel weightier than others. Big moves, the person we will marry, the school we will attend. Reflect with me about your call to ministry, to cross-cultural life. 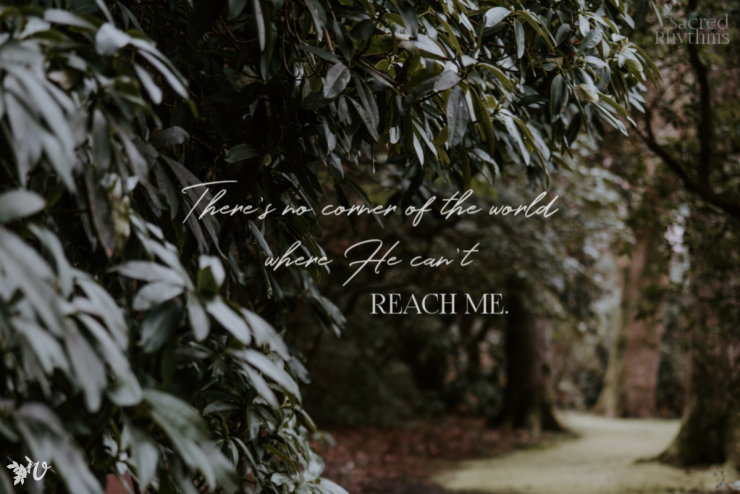 We could probably each share the ways God pushed us in this direction, the quiet whispers and the in-our-face moments that showed us that this was what He had next for us. Those journeys each look very different, don’t they? What did God teach you about discernment in that process? I highlighted and starred and underlined this phrase: “God’s will for us is generally for us to pursue that which gives life (John 10:10) and to turn away from things that drain life from us and leave us debilitated”. I’m a slow learner when it comes to paying attention to what is life-giving. I have focused for so long on doing what needs to be done. 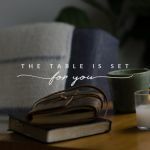 I’m a “serve behind the scenes” kind of girl, so if tables need to be set up, or files need to be typed up, or the phone needs to be answered I’m right there to jump in and help. I have approached my ministry decisions this way too- what’s the need? What needs to be done? In the process I stopped paying attention to the condition of my soul. 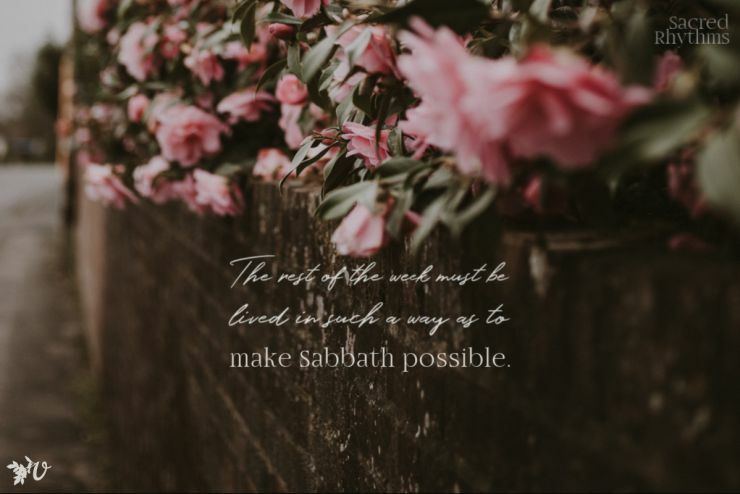 We leave our comfort zones and follow on the Holy Spirit’s adventure for us which often means looking around for what the needs in the world are. My story involves a decision to leave the field because too much life was getting drained out. That might not be your story. But here’s the thing, what I keep coming back to in this chapter on discernment: we need to pay attention. We pay attention to the ways God has used us in the past, the creative and brilliant ways He formed us from the very beginning. Your enneagram number? Your love language? Those are parts of you that matter. What moves you to tears? What stirs up anger or zeal so deep in you, you just have to do something about it? We don’t make decisions based purely on our emotions but I am learning we shouldn’t ignore them either. We pay attention to the stirrings, that sense that something might be changing. We pay attention to what is happening in the world, in our backyard. I thought Barton’s suggestion to sit with a decision and think about how I would feel if I chose one way over another was really helpful. I can get bogged down feeling like I have to make the right choice but this felt like a good way to “test the waters” before moving forward. “Ultimately, discernment is about falling in love and letting that decide everything. It is about falling so deeply in love with God that nothing else matters. It is about trusting God so much that all we want in this life is to abandon ourselves to the goodness of his will. It is about knowing God so intimately that we can tell what he wants just by turning our heart toward him. It is about loving ourselves and God and others so much that we will wait until we understand what love calls us to and then give ourselves to it, even when it costs us”. Have you approached discernment as a way of loving God and others? What were your thoughts as you read this chapter? What small thing would you like to put into practice? We are almost finished reading Sacred Rhythms together! Where did the time go? Here’s the schedule as we wrap up. 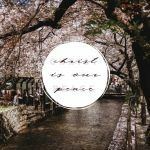 Resource Bonus: Emily P. Freeman has a short podcast each week where she talks a lot about discernment and making decisions. Check it out here! The Velvet Ashes Retreat is happening soon! Make sure you are registered and make plans to join us April 26-28! 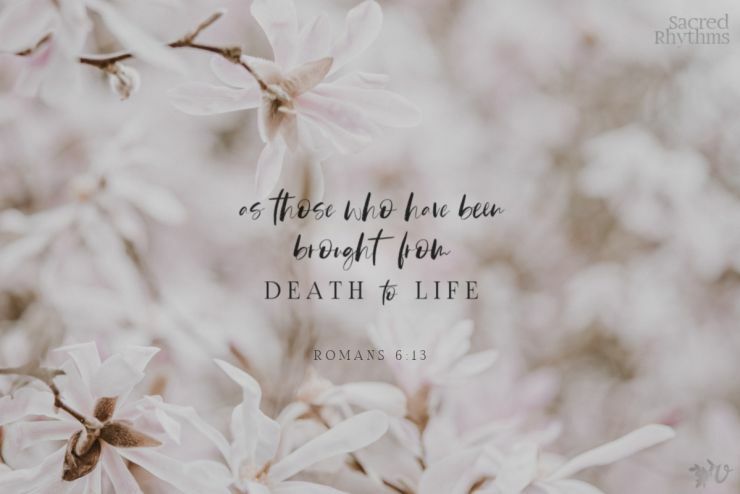 I didn’t have the words “consolation” and “desolation” to use in the context of discernment, but those senses have been useful to me throughout my life in following Jesus – feeling unsettled when moving towards the wrong choice and at peace with the right choice. The 3 beliefs necessary for discernment are so important. They are worth writing down in my prayer journal. While I absolutely believe those things, I can lose track of them if I don’t being them to mind. Another point I find to be important is to start with indifference. Letting go of my preferences is key. I recently read a book about discernment – All That’s Good by Hannah Anderson. She presents discernment as learning how to think, using Philippians 4:8 – Whatever is true, whatever is noble, whatever is right, whatever is pure, whatever is lovely, whatever is admirable if anything is excellent or praiseworthy think about such things. I read that book a few months ago too and thought about it as I read this chapter! Barton’s point about indifference has really stuck with me! 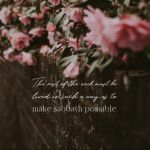 I’ve been trying to reframe my thoughts about the word and that posture as I think about some different decisions and questions I’m asking the Lord right now. It does really take getting to a place of complete surrender! I have All That’s Good and will have to read it soon! I’m not even reading this book, but this post deeply touched my soul today. Thanks for your words of wisdom on this topic. Emmy, thank you so much for sharing, and I’m so glad the Father used this in your life today! I loved that last quote too and underlined it and stayed with it for a while. I’m also reading through Emily P Freeman’s new book, The Next Right Thing which has similar thoughts as Barton’s in this chapter and yours in this post. I definitely relate to taking care of what needs to be done and, as an enneagram 5,I guess, I tend to discount feelings in decision making, so these are things I need to really dwell on. Michele, I just got The Next Right Thing and am looking forward to reading it! It is interesting to bring in our personality types when we talk about discernment! It ties back in with our discussion from The Road Back to You about how important it is to understand ourselves well so that as we come up against different things (like how we make decisions) we can be even more intentional and aware of what’s happening inside of us. Thanks for bringing that up! I found this to be a very rich chapter and I really appreciated your thoughtful insights, Sarah. 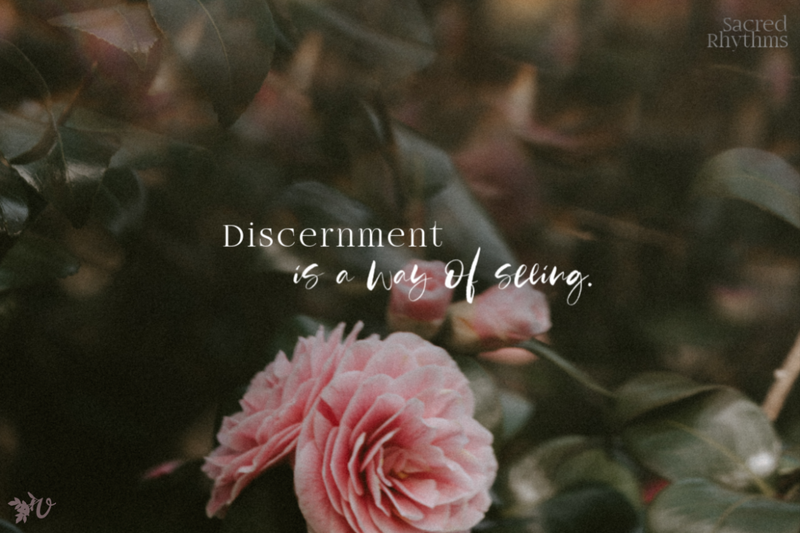 I love the description of discernment as a way of seeing. I think I come to discernment when I have a decision to make but really, discernment is about paying attention in my day to day life. Then when decisions do come up I am more in tune with the ways that the Spirit has gone before me to open a path. I also think this method of discernment is less about finding the answers and more about sitting with the questions in the presence of Jesus. I’m an INFJ on the Meyers Briggs. One of the struggles I have had when it comes to discernment is that I tend to process internally using my intuition and feelings. Being a J, I am then convinced of the certainty of my decision making but from an outside perspective it’s like I’ve worked out a complex equation on a chalkboard and then erased all my work leaving only the final solution. This can be frustrating for others who want to follow along with me but can’t follow my internal logic. When I was heading overseas I found the affirmation of my community to be so encouraging and was blessed by others who were able to agree, yes we see these giftings in you and we see the ways that the Spirit has been at work in your life so we agree that this is God’s next step for you and are willing to send you. I also really resonated with asking the question: what would love do? I found that to be both beautiful and intensely practical and can see myself using that with my children when helping them face decisions. My Lord God, I have no idea where I am going. I do not see the road ahead of me. I cannot know for certain where it will end. Nor do I really know myself. And the fact that I think I am following your will does not mean I am actually doing so. But I believe that the desire to please you does in fact please you. And I hope I have that desire in everything I am doing. I hope that I will never do anything apart from that desire and I know that if I do this you will lead me by the right road, though I may know nothing about it. Therefore I will trust you always though I may seem to be lost and in the shadow of death. I will not fear, for you are ever with me, and you will never leave me to face my perils alone – Thomas Merton. Sarah, thank you so much for sharing these thoughts! That last quote from Thomas Merton is one I’m still chewing on. The way you described decision making as an INFJ is fascinating! And so helpful- first that you understand yourself well enough to know those patterns, and second, that you can also help others who care about you to know what’s happening internally so they can better support you through it all. It’s key to have those self-realizations and be able to communicate them!